We have a new website. If this is your first visit since 3rd September, you will need to create a new password by clicking on the password reset link below. If an account with a matching email exists, a password reset link will have been sent. Please check your inbox. Please also check your spam folder if you do not receive the email. 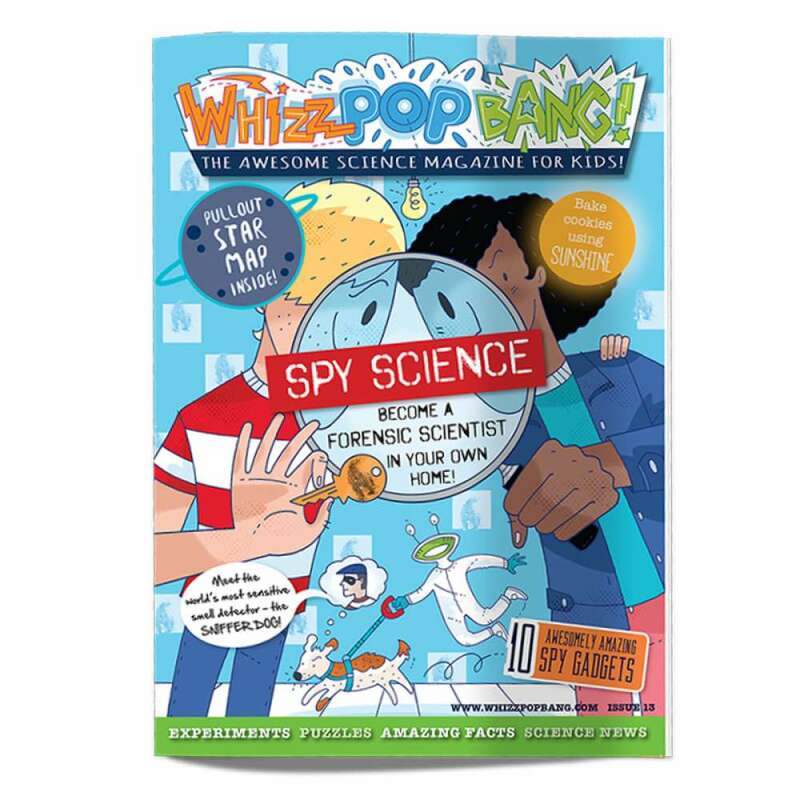 This issue is all about SPY SCIENCE!! Are those YOUR finger prints? Eeeew, there's even some blood... Who did it? Can you break the code? 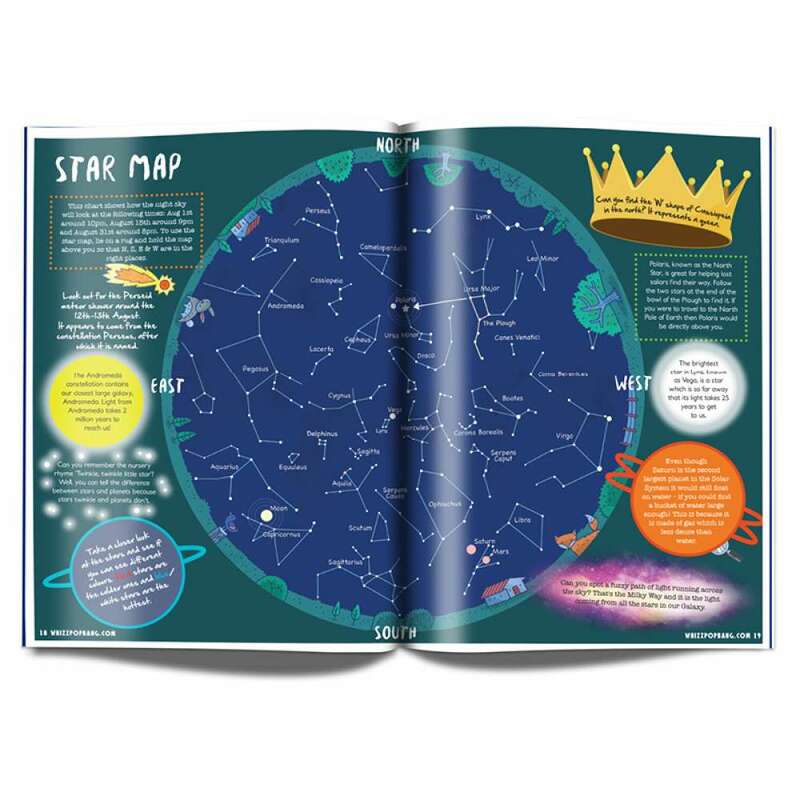 You'll also find an interview with Robert Winston, an 'In Depth' look at how peppered moths evolved to become camouflaged in the industrial revolution, you can sniff out some talented sniffer dogs, find out about wartime hero Grace Hopper and discover 10 awesomely amazing spy gadgets. 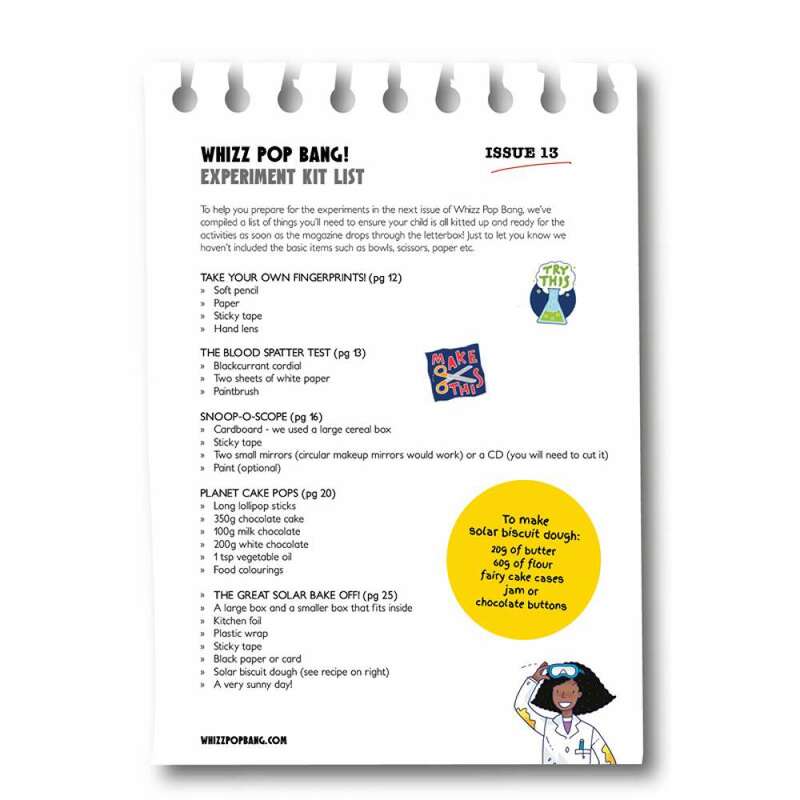 We've even found space for instructions on how to make a periscope, as well as a guide to hosting your own star-gazing party, complete with planet-shaped cake pops for all your friends to munch on – yum yum! !